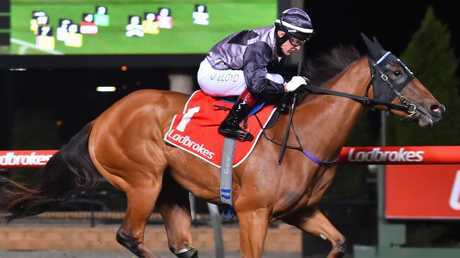 THERE will be nowhere to hide for gun Queensland two-year-olds Ef Troop and Outback Barbie against the silk department at Royal Randwick on Saturday and trainer Tony Gollan wouldn't have it any other way. The pair's Golden Slipper aspirations will be determined in the space of 70 seconds or so against two of Sydney's benchmarks when Ef Troop takes on Performer (Todman) and Outback Barbie sizes up Estijaab (Reisling). Gollan is itching to find out where his two Spirit Of Boom youngsters sit in the lucrative Slipper picture. "Bloody oath. It's great to be here," he said. "It's no secret, these are the two best horses I've had since Spirit and Temple Of Boom. We've brought them down to find out if they are up to it. If they're not, they will come home. "Everything they've shown me says they are genuinely up to this grade and the market is telling you that too. They will run very well." Outback Barbie's recent Gold Coast trial win has been well documented but Gollan felt Ef Troop went just as well. "He wasn't asked to trial like her," Gollan said. 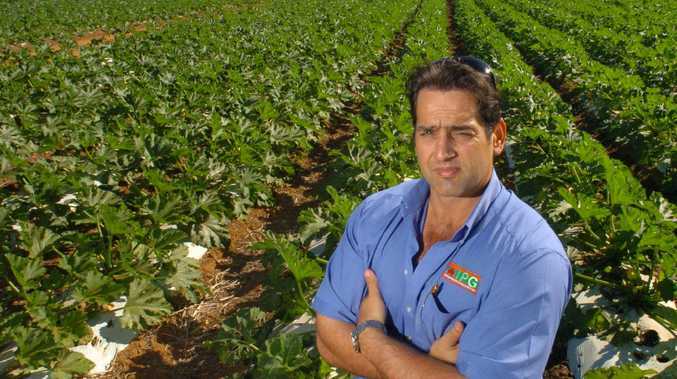 "He did everything Jeff (Lloyd) asked him to do and the fact he relaxed and didn't want to overdo it was very pleasing. "He's still quite immature, he's very leggy and doesn't have the heavy physique but he's really developed a constitution now. "Physically he looks better than going to the Magic Millions." The Magic Millions form looks like stacking up strongly, with Sunlight having beaten Estijaab in the Silver Slipper and Nomothaj resuming a winner at Flemington. 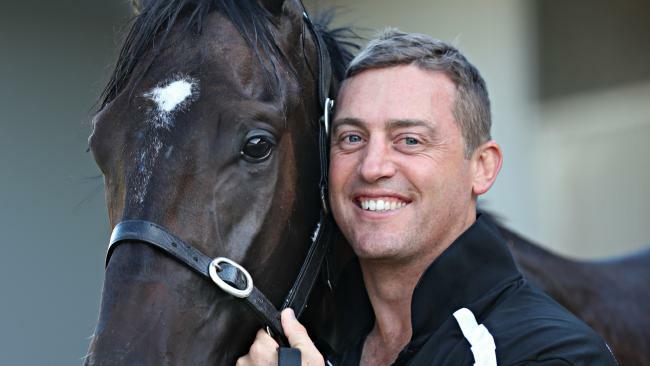 "That doesn't mean a lot to me unless my pair race up to their Magic Millions runs or better but I think their trials last week showed they are in a good spot," Gollan said. 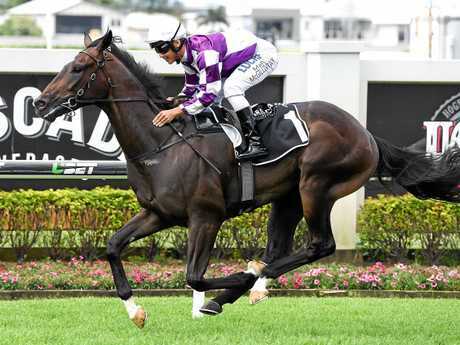 This time last year, Houtzen was sitting atop betting charts for the Golden Slipper. She resumes in Listed grade at Randwick tomorrow with trainer Toby Edmonds hoping to use the race as a launching pad to more Group 1 targets. "I think she's in a pretty good spot," Edmonds said. "She looks big and strong and trialled really good. The spring didn't pan out like we might have hoped but she still won a Group 3 and I thought she ran as well as she could in The Everest. "She's grown and matured in her spell and has had a trouble-free prep. 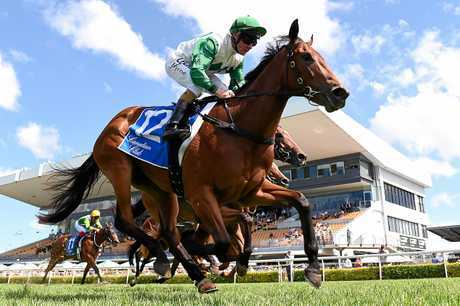 "I'm hoping to get to the Sangster in Adelaide but it hinges around this first-up run. She will have to beat these (tomorrow) to be considering a race like that." If Houtzen were to return at her brilliant best on Saturday, the Group 1 Galaxy in a fortnight is a potential option.